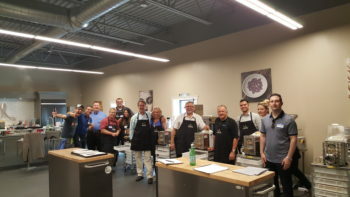 Arcobaleno, LLC is pleased to announce the completion of their first Sales Rep Product Training session on July 21-23 in their state-of-the-art Pasta Lab and company headquarters in Lancaster, Pennsylvania. 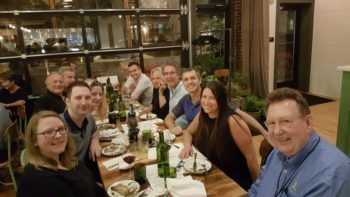 The two day session was attended by a group of new sales representatives including Tri-State Marketing (Metro New York), DLT Sales (Metro Chicago) and WB Marketing (Ohio & Mid-America). 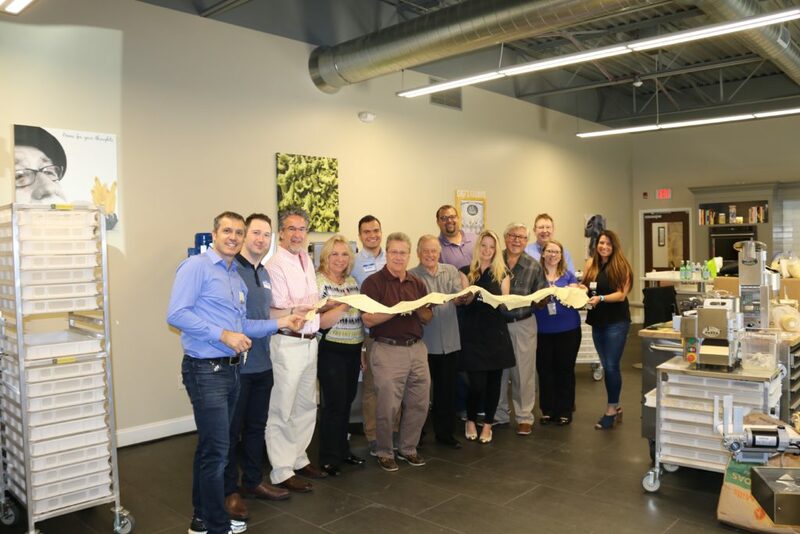 These field sales agents experienced first-hand making delicious fresh pasta, cooking it, and yes, enjoying eating it! Arcobaleno will continue throughout the year to sponsor these important training session that help make Arcobaleno sales reps the most knowledgeable in the field working with pasta customers! Arcobaleno, LLC was first created in Vancouver, BC in 1995 by Antonio and Maja Adiletta who saw a need for customizable pasta, pizza, and bakery equipment. By 1999, Arcobaleno was presented with the Business in Vancouver “Forty Under 40” New Year Achievement award for its flourishing success. Since the beginning, Arcobaleno, LLC has maintained lasting relationships and have never lost sight of what’s important: their customers, employees, and partners. The highly experienced Arcobaleno, LLC team of designers, engineers, machinists, fabricators, assemblers, support and sales staff, along with their valued partners, are the strength and pride of the Arcobaleno brand. Arcobaleno, LLC is committed to creating quality, cost-effective solutions for their customers pasta equipment and related equipment. Year after year, Arcobaleno has developed a full range of innovative, quality products to meet the needs of their customers. In fact, Arcobaleno remains the ONLY FULL-SERVICE pasta machine supplier in North America today. Arcobaleno’s 30,000 square foot facility is home to our warehouse, business support operations and on-site pasta lab and demonstration kitchen. They maintain a large inventory of parts on-hand, as well as undertake expansive network of installation and service agencies throughout North America. Arcobaleno, LLC loves to have customers visit them! Their customers’ success remains their most important goal!